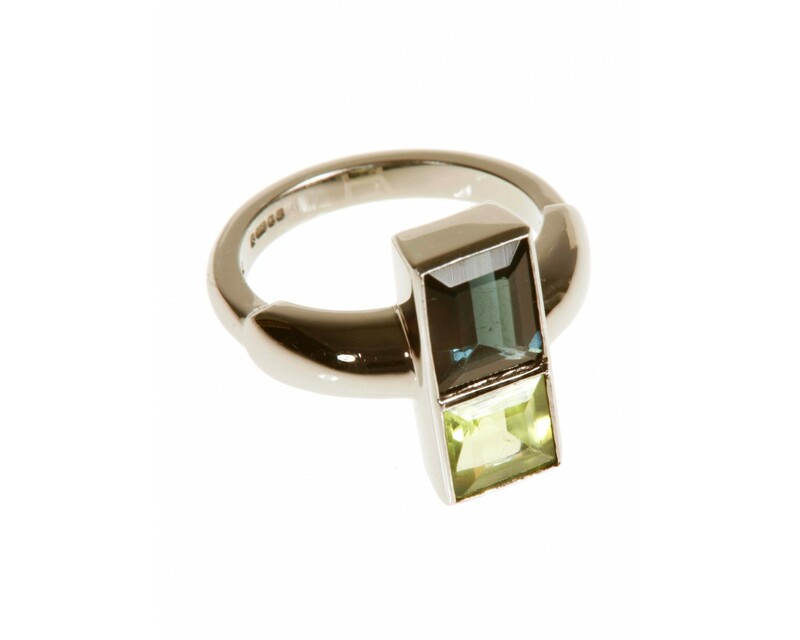 Tourmaline and peridot set In 18ct white rodium gold. 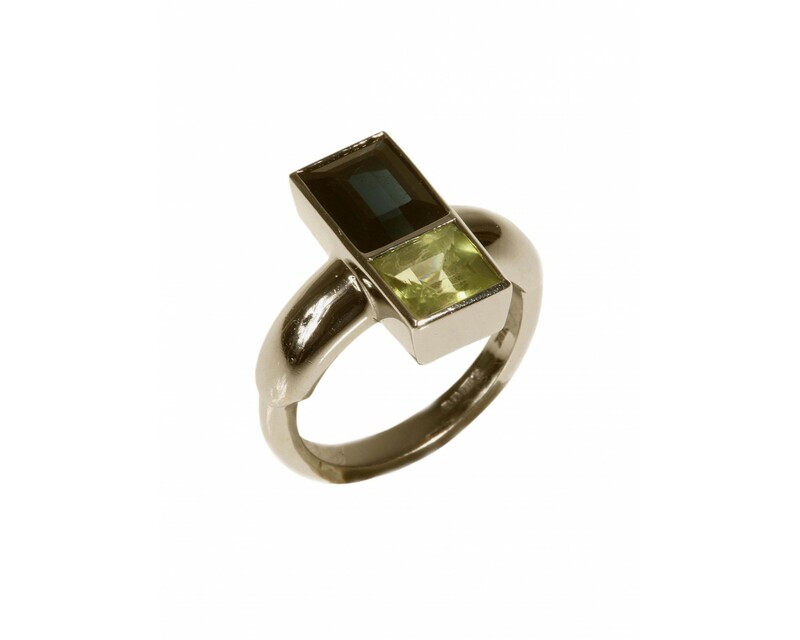 This neo-deco ring with tourmaline and peridot stones with an unusual band is set in 18ct white gold. 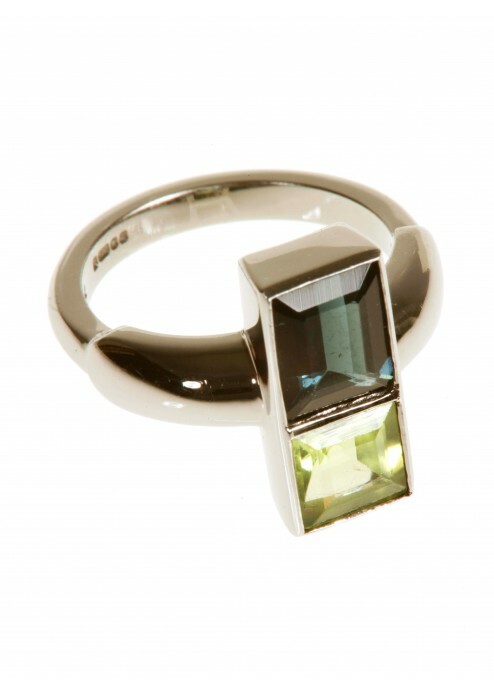 It looks equally glamorous on a man or woman.